"The Monastery of Sendomir" ("Secret of the Monastery" in IMDB) is a poignant drama, featuring director Victor Sjöström (Seastrom), a star of Silent Hall of Fame. A powerful count suspects his young wife of infidelity. Will his quest for vengeance destroy everything he has and doom him to misery for the rest of his life? 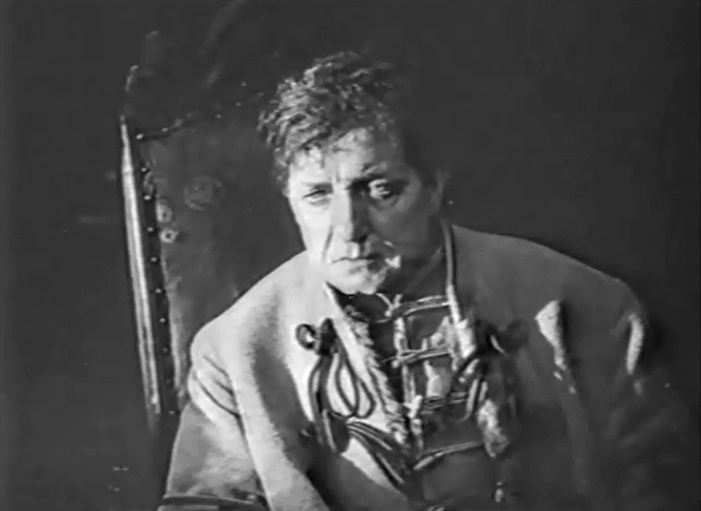 The count lives in a bliss in "The Monastery of Sendomir" (1920), director Victor Seastrom (Sjöström). 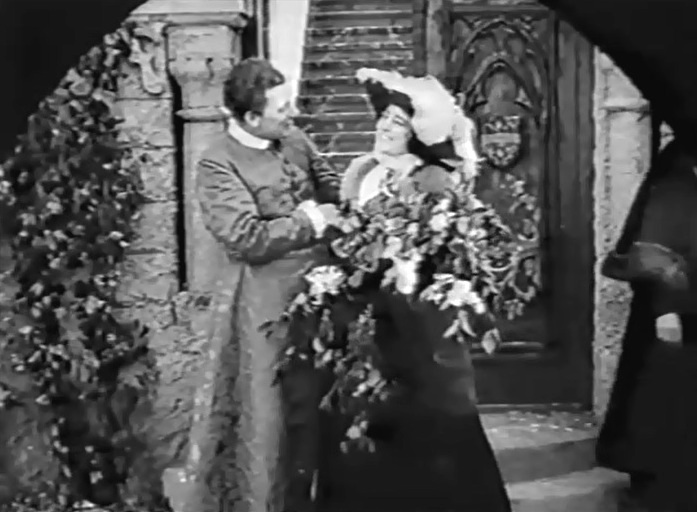 The count welcomes his wife enthusiastically in "The Monastery of Sendomir" (1920), director Victor Seastrom (Sjöström). 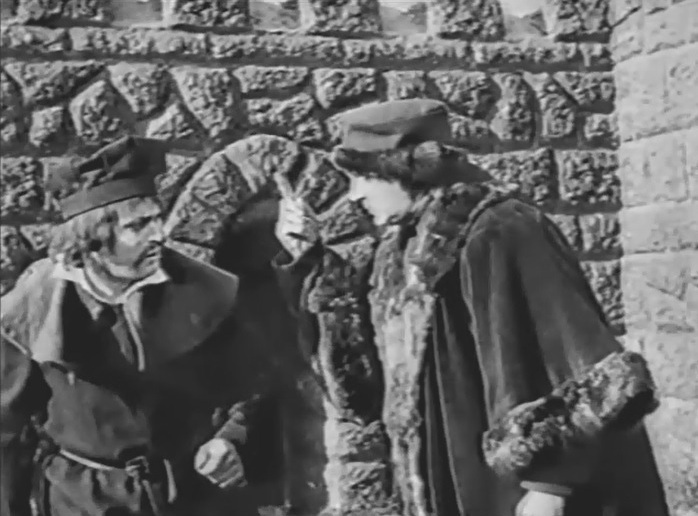 The count's manager gets a word about a certain problem and swears the witness to secrecy in "The Monastery of Sendomir" (1920), director Victor Seastrom (Sjöström). 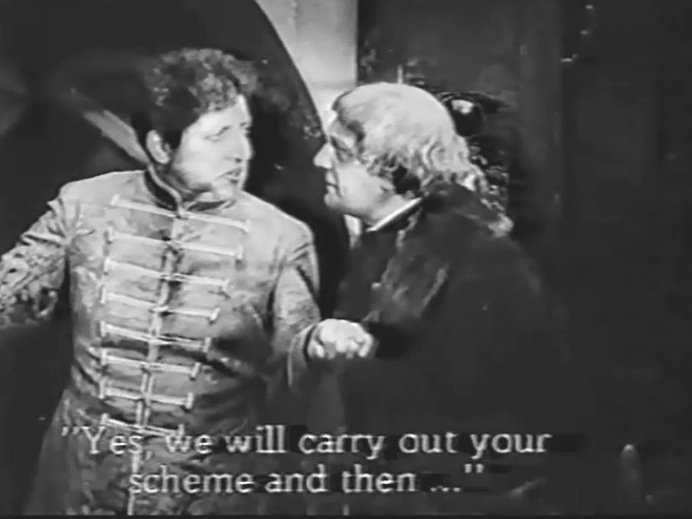 The manager informs the count about the problem in "The Monastery of Sendomir" (1920), director Victor Seastrom (Sjöström). The count looks at his smiling wife with a shadow of suspicion in "The Monastery of Sendomir" (1920), director Victor Seastrom (Sjöström). 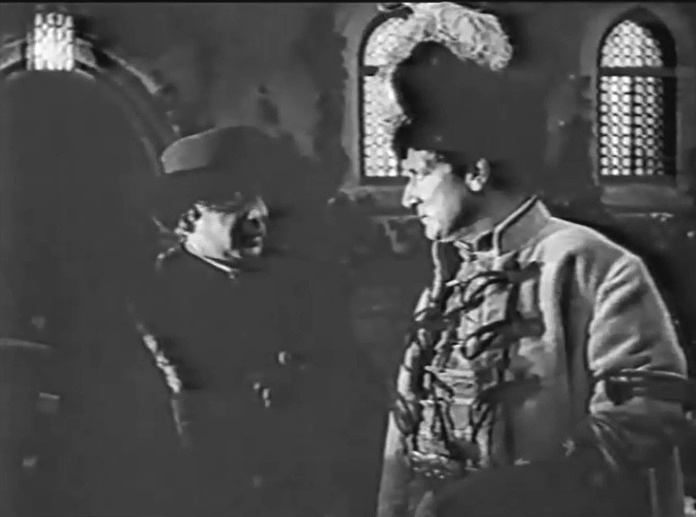 The manager is required to inform the count about any developments during his absence in "The Monastery of Sendomir" (1920), director Victor Seastrom (Sjöström). 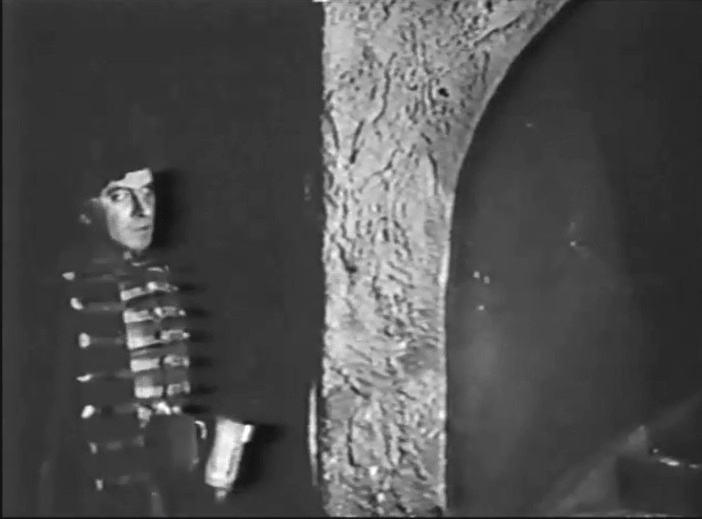 A gold-haired visitor comes to the castle in "The Monastery of Sendomir" (1920), director Victor Seastrom (Sjöström). 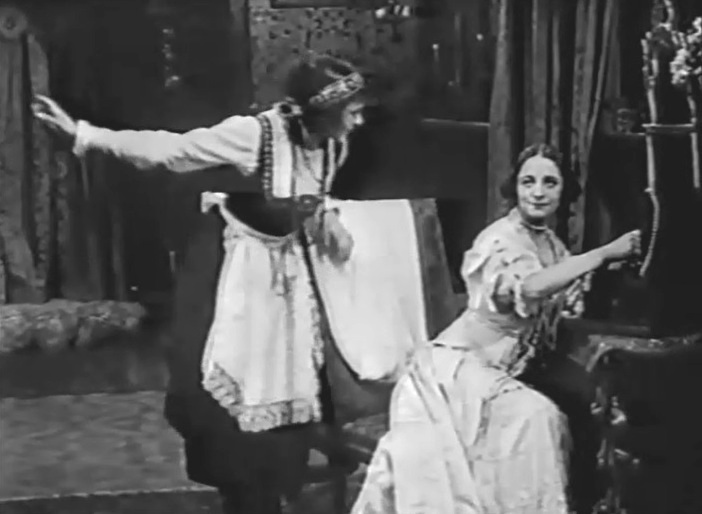 The maid informs the count's wife that she has a visitor in "The Monastery of Sendomir" (1920), director Victor Seastrom (Sjöström). 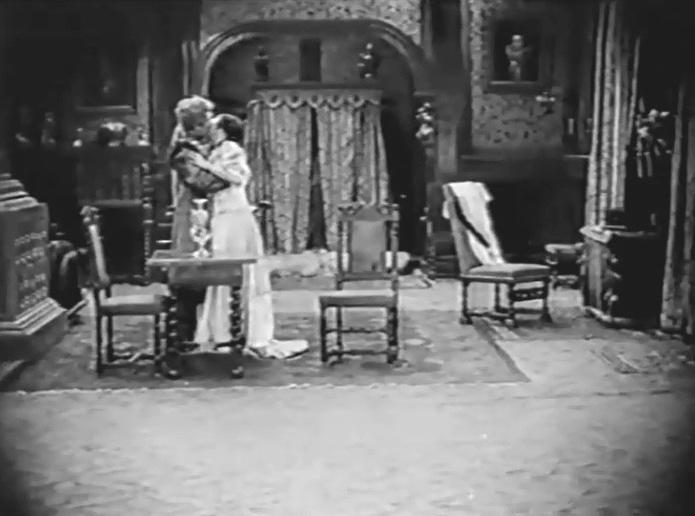 The count's wife meets the gold-haired visitor in "The Monastery of Sendomir" (1920), director Victor Seastrom (Sjöström). 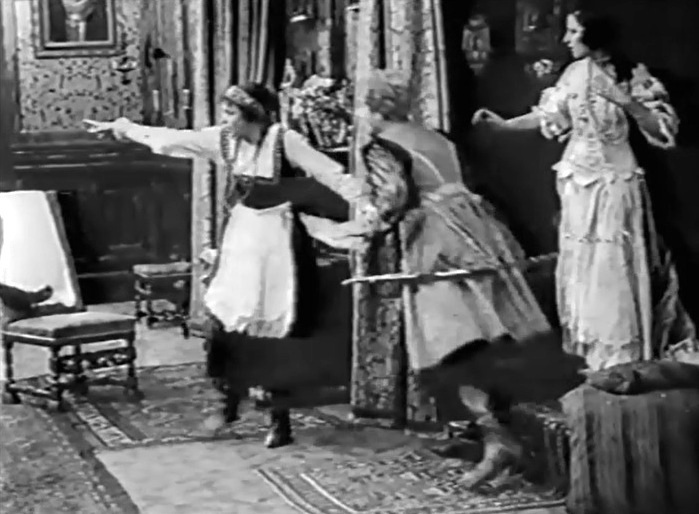 The count's wife looks anxiously as the maid rushes out the gold-haired visitor in "The Monastery of Sendomir" (1920), director Victor Seastrom (Sjöström). The count questions the maid in "The Monastery of Sendomir" (1920), director Victor Seastrom (Sjöström). The count has a sleepless night anticipating his wife's explanation in "The Monastery of Sendomir" (1920), director Victor Seastrom (Sjöström). 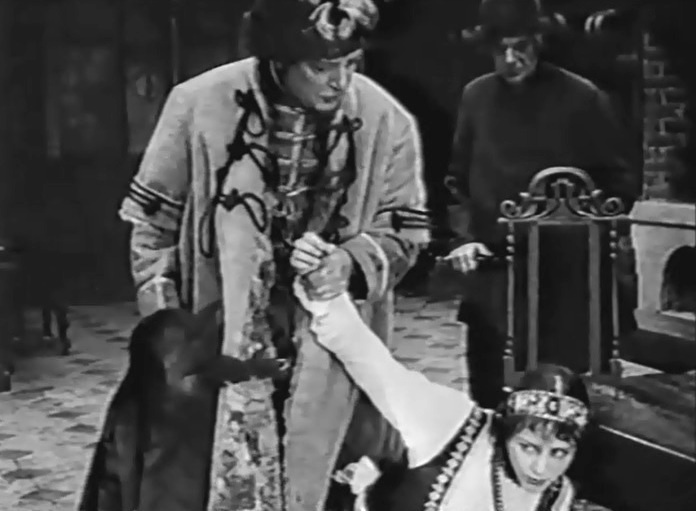 The count is told by his wife that the disturber was the maid's lover in "The Monastery of Sendomir" (1920), director Victor Seastrom (Sjöström). 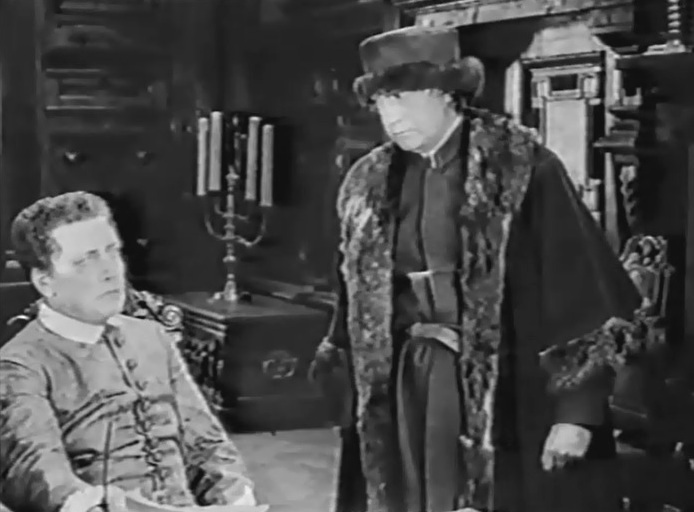 The count listens as the manager discusses a certain gold-haired former fiance of his wife in "The Monastery of Sendomir" (1920), director Victor Seastrom (Sjöström). 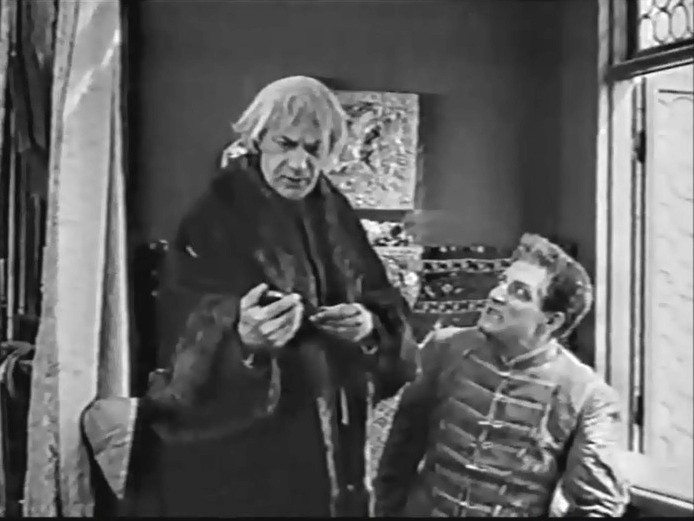 The count listens as the manager suggests a plan to get rid of the problem in "The Monastery of Sendomir" (1920), director Victor Seastrom (Sjöström). 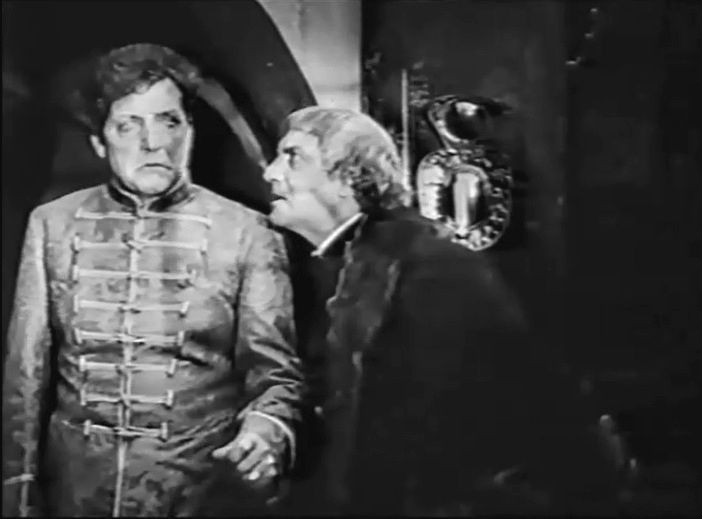 The count embraces the manager's plan enthusiastically in "The Monastery of Sendomir" (1920), director Victor Seastrom (Sjöström). Little does he know that this will bring doom and gloom for the rest of his life.